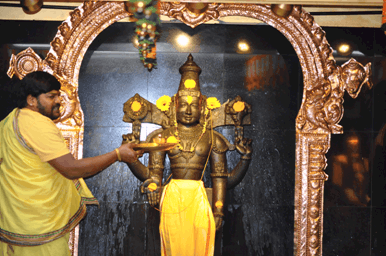 Sri Sri Sri Lalitha Devi Peetham was started on Mar 22, 2009 with the Prana Prathistha of Sri Lalitha Devi. 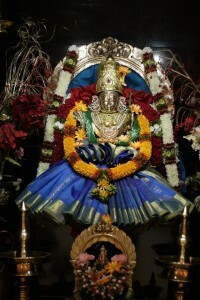 Sri Lalitha Devi fulfills all desires of her Devotees. Her compassion and care will be with them at all times and in all situations. 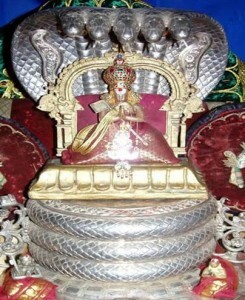 The Shakti (power) of Sri Lalitha Devi is best described by the words “haribrahmendra sevitaa” in the above Sloka. 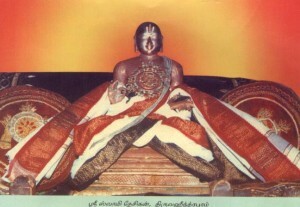 She is worshipped by all Gods including Vishnu, Brahma and Indra. 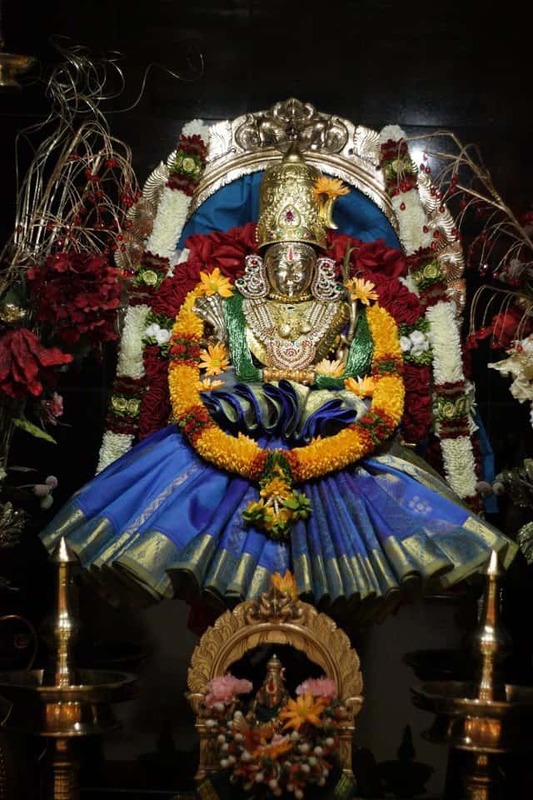 Sri Lalitha Devi is also known as “vaageeramaa sevitaa”, meaning she is served by Goddesses Saraswati and Lakshmi. Goddesses Saraswati and Lakshmi fan Sri Lalitha Devi with the Divine Fans (vinjaamara) at all times. 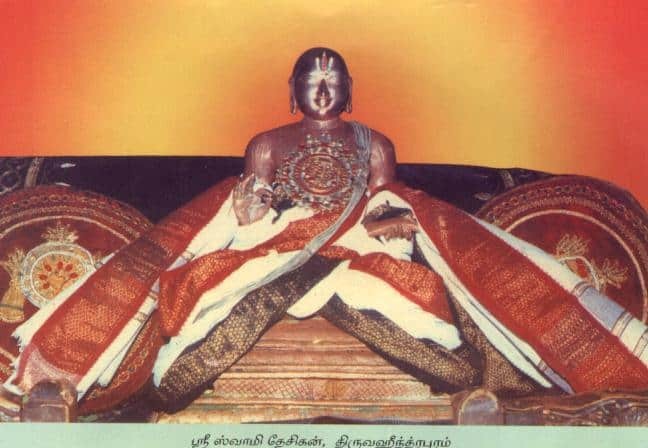 Sri Lalitha Devi Temple has been founded to provide a place for devotees to Worship, Serve and Meditate on the All-Powerful Mother and attain their desires through Sri Lalitha Devi’s blessings. Sri Lalitha Peetham Plano request all devotees to come and Worship the Divine Mother through religious activities (Archana, Abhisheka and others) and become recipients of Her Divine Blessings.